The thing I like about antique furniture is all of the character and charm. I like to look for unique pieces that I wouldn’t necessarily buy new. 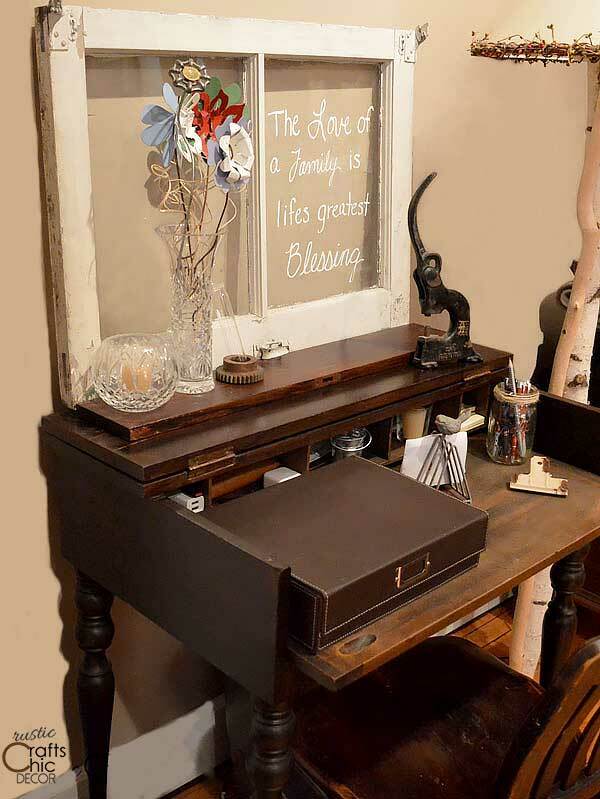 A small antique writing desk is one of those finds that can easily fit almost anywhere in a home. 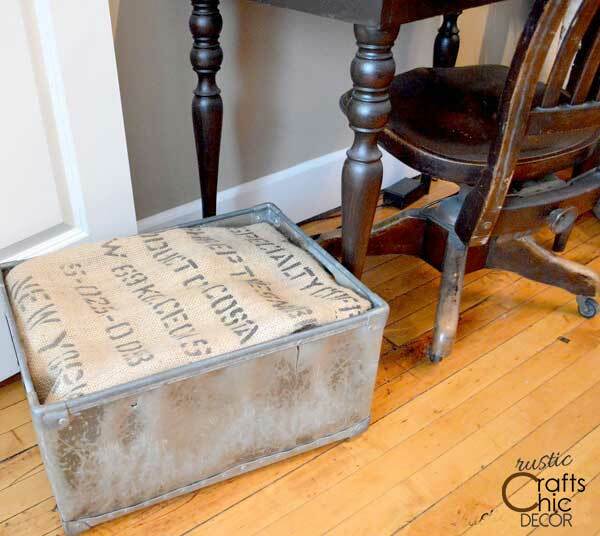 The small size makes it easy to put in an empty corner for a touch of charm. That’s why I was so excited when I found my desk at an antique mall. When I first spotted the desk, I didn’t have a plan for where to put it. I just knew that I loved it and would have no problem finding a spot for the cute little thing! What I didn’t realize at the time was that it would become very useful to me in the future. A couple of years ago, we downsized from our house to a small city loft. It didn’t leave a lot of room for such luxuries as an office space. Of course, as empty nesters, we sit in our living room and work together with no problem. However, I feel a desk is always necessary for organizing and keeping mail. It’s kind of a catch all for stuff instead of using the counter or table. My husband forgets that. Since our loft is both small and very open, I had to create an office area by placing the desk in an area along with a floor lamp and photos to section it off from the rest of the décor. 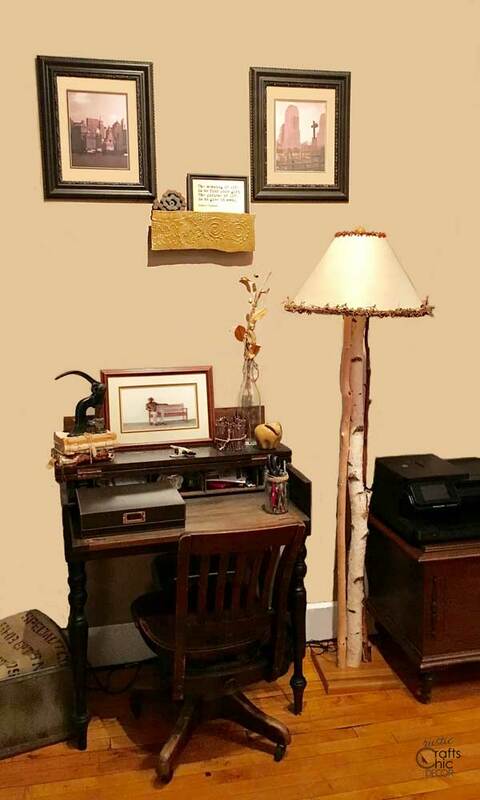 The antique writing desk is given its own “space” with the anchoring of the floor lamp and wall photos. I’m so glad that I had found this writing desk back when I did because now it is so perfect for this small space. Also, in case you missed it, see some of the ways I have organized with these small storage ideas. One of my favorites is this vintage box filled with office supplies next to my desk. I amazed to look it, really offer a beautiful creative home office, save it, somethings we love forever, and an image set in mind to never get away from such things, a true lovely human nature! Love to read, and thank you for sharing.